Here at the Plaza Grande we do not just offer luxury one and two bedroom apartments. We host a variety of events for our residents. These events are at the clubhouse and spots over the South Jersey area. On Saturdays, we host a weekly movie nights in our clubhouse theater room. The residents pick the movies they would like to see. Classic movies like From Russia with Love and Young Frankenstein. We also show newer releases like Hidden Figures and La La Land. On Thursday mornings, a fitness instructor comes in our clubhouse yoga room and teaches a strength fitness class. The week before Memorial Day, we had a BBQ for the community. We planned a cocktail hour at Seasons 52 in Cherry Hill for the residents. Everyone said they had a wonderful time and would like to do that again. We invited a certified instructor to our clubhouse to give the residents a tutorial on how to properly use their iPhone and iPad. Some future events are a Sip and Paint party. An artist will be coming to our clubhouse with canvas and paint. We are also planning more BBQ and a bus trip to some local wineries. Our event planner has been reaching out to local yoga instructors to see who would be interested in teaching classes at our clubhouse. Our event planner meets with the social committee once a month to get ideas and plan events. Any resident can join this committee to help with event ideas! After the race track was demolished, D.R. Horton of Fort Worth, Texas began the planning and construction of the Plaza Grande at Garden State Park. A 55 and over luxury community near Chapel Avenue. They built 4 condominiums which have anywhere from 24-26 condos in them. They began construction of the clubhouse. When the market took a turn in 2008/2009, they couldn’t afford the property anymore. We bought the property 2014. We are Tri-State Ventures (TSV-TGA). We own commercial property in New York and Pennsylvania. This is our first residential property. When we bought the property, we completed the clubhouse. Inside the 18,500 square feet clubhouse is a movie theater, sports lounge with billiards. There is a yoga room, fitness center, indoor pool, a hot tub along with saunas in the men’s and women’s bathrooms. In October of 2016 we opened our first rental building with 30 apartments. This building has 1bed 1bath apartments and 2bedroom 2full size baths. This building is currently 70 percent full. We recently opened our second rental building. This building will also have 30 apartments for rent. We currently rented eight apartments in this building. At the end of December 2016, we started working on our fourth rental building. Garden State Park was opened in 1942. The luxurious race track was constructed by developer Eugene Mori. With the popularity of the race track, Mori also built hotels. The Cherry Hill Inn, the Cherry Hill Lodge and the Rickshaw Inn. Across from the race track on Route 70 was the Latin Casino. The casino had a nightclub that hosted acts like Frank Sinatra, Dean Martin, Frankie Avalon and Liberace. In the 1970s, Atlantic City’s Casinos were the place to be and the Latin Casino began to fail. It was eventually torn down in the 1980s after a fire damaged a good portion of it. 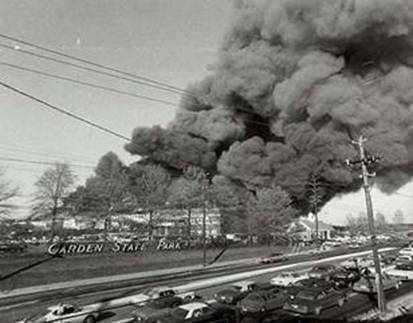 In 1977, a fire started in one of the kitchens in the Cherry Hill Race Track. The fire was able to be contained to the grandstand complex. 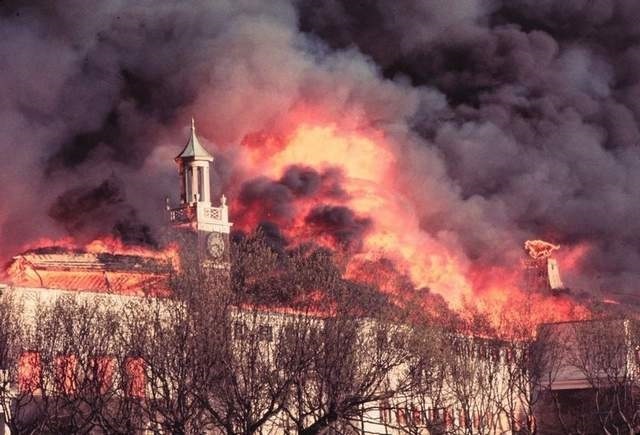 Over 11,000 escaped the flames, but sadly 3 people lost their lives that day. A trader named Robert Brennan helped financed the reconstruction. The race track reopened in 1985. Over the years, the race track held some important annual races that included: Gardenia Stakes, Jersey Derby, Trenton and Vineland Handicap. As time went on the race track suffered. It never seemed to be as glamorous as it was in the past. Many people believed the final straw was when Governor Christie Todd Whitman vetoed a legislation that would have permitted slot machines at the track. In 2001, after almost 60 years the track had its final race. In 2003 the property was sold, and demolished to create a town center. To keep a portion of the history, the original gates still stand on the property. Welcome to the Plaza Grande blog! Here you will find a variety of information about our community and the surrounding area.